How Can you Make the Best of Dubai Shopping Festival 2018? The Dubai Shopping Festival 2018,which is also known as the shopper’s paradise, is ready to amaze the shopaholics with tons of discounts and incredible giveaways. A 12-hour shopping marathon starting from December 26th to January 27th 2018 is making avid shoppers wait in an anxious crouch each day before midnight, ready to pounce with the chiming of the clock. From huge discounts to attention-grabbing deals, the tourists & residents have multiple opportunities to get their hands-on technology, fashion, furniture, jewelry, and even dining offers. So, what if you are not into shopping? 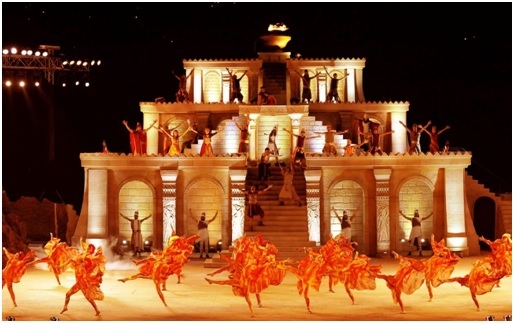 DSF is celebrated just like any other festival in Dubai: with hype and so much pomp. Which means shopping isn’t the only thing that you need to do while you are enjoying the DSF 2018. Here are some activities that you can enjoy along with the Dubai Shopping Festival. 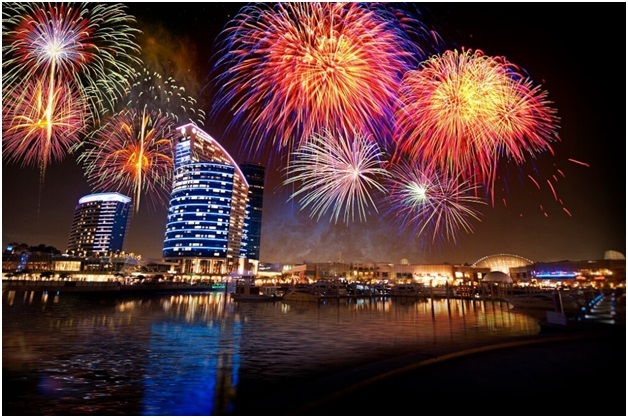 At Creek Park and Zabeel Park, Fireworks happen every day. Once you get there, you will realize that there are tons of other activities that you can do, for instance, a rejuvenating picnic at the park, fascinating kid’s magic shows, scrumptious food tasting carnivals, face painting, etc. Throughout the emirate, you’ll notice the truly amazing street plays done by musicians and artists. You can also witness parades that take place in the downtown area. The colorful, vibrant atmosphere will surely perk up your mood. If you get a chance to visit any shopping mall, there will be flash mobs, and fashion shows that take place every day to attract the tourists. In Dubai Mall, the ice rink gets converted to a fashion show ramp. There would be various game shows held in every other mall where you’d be able to win prizes. Across the city, from resorts to parks, and hotels to malls, there are various workshops which you can take and learn something interesting. If you want to test your luck,you can try the raffle draws that happen throughout the city. The lucky draws have prizes which range from cash, home appliances, gift vouchers, to cars, and gold. If you are still unable to find something interesting,you can check out the major film festivals that happen all over Dubai, such as the Dubai International Film Festival and Children’s International Film Festival. Catch your favorite movies, attend press conferences and witness the movie stars right in front of your eyes when they walk on the red carpet. DSF is the biggest shopping festival in the world. People from around the globe arrive in large numbers to enjoy the flat discounts over shopping. The Festival is not limited to shopping only; it gives rise to live concerts and stage performances by celebrities. So, you can enjoy activates mentioned above and get the flavor of the shopping extravaganza even if you don’t actually want to buy anything. The main theme of the Dubai Shopping Festival is to celebrate and embrace the shopping lifestyle with a fervor.It offers everyone a bouquet of a diverse range of activities, offers, and happiness. This is one of the times where the entire emirate is bustling with vibrant ambiences and energy! Yousuf Rafi has been working with writing challenged clients for over four years. His educational background is in Computer Science coupled with Masters Degree in Business Communication. Being a tech-savvy he loves to write about latest happenings, and tips on web design & development, mobile app development, and SEO. Currently employed at Branex.ae – a digital design agency in UAE, Yousuf loves reading and exploring new ideas. Instagram Rolls Out Branded Content Ad Format – How Online Marketers Can Take Advantage of It?